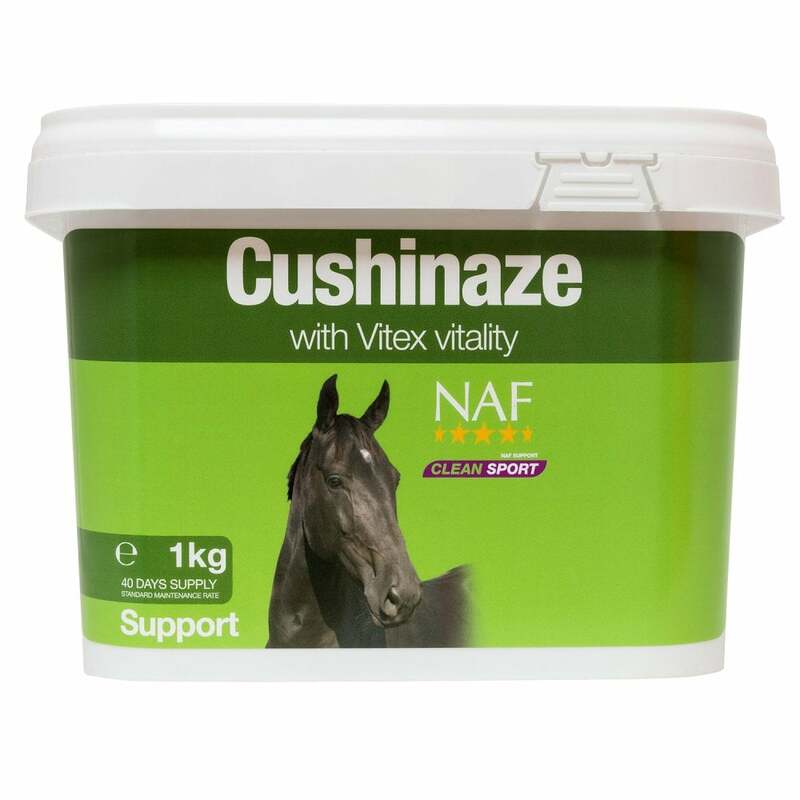 NAF Cushinaze is designed to provide nutritional support of the pituitary gland, optimise gut function and support vitality. Cushinaze combines key herbal elements known for supporting the pituitary gland including Chasteberry with essential nutritive support of the whole horse. Efficient metabolism is supported by live probiotic yeasts in combination with magnesium to support glucose metabolism. MSM is included to support healthy hooves along with antioxidants that flush out toxins. Ginkgo and ginseng are also included to herbally support a bright, active mind in aging animals. Cushinaze provides essential immune support for general health and vitality.